What do you do here at BUMC? I taught for 4 years as an elementary education teacher in Phoenix, Arizona, in the third grade. I substitute taught in area schools for two years. I also have worked for the Hartford Life Insurance Company until staying home to raise my three children. When did you begin working for BUMC? 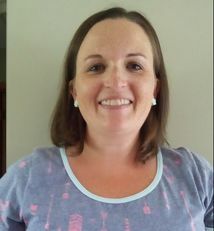 I began working as the Preschool Director for BUMPreschool in May 2015. My favorite part of working at BUMPreschool is being around such amazing and inspiring people, along with the ability to share my love of learning. My husband and I have three beautiful and busy boys that keep me energized. Before joining the staff at BUMC I did daycare in my home. I was also a substitute teacher before having my own children. I began working as the Preschool Assistant and Teacher for BUMPreschool in 2009. My favorite part of working at BUMPreschool is each day I am greeted by smiley kids who are ready to learn and have fun! I am married with three children. I have one daughter and two sons. Preschool Teacher's Aide for both the 3/4 & 4/5 classes. I have the opportunity to provide support to our wonderful teacher. I began working as the Preschool Teacher's Assistant in July 31, 2017. I look forward to helping the kids learn and grow to be prepared for kindergarten. My husband, Corey and I have been married for 12 years. We live in St Michael & have a daughter, Taylor (8) and a son, Brennan (5).